This is a difficult time of year for anyone who is struggling with alcoholism. With all of the gatherings and social events we are surrounded by alcohol and people who are enjoying it. When a person is new to sobriety or struggling to get to the other side, facing a Holiday is often a hurdle which seems to high to overcome. Thinking back to my early sober Christmases I realize that I actually had a plan which helped me do Christmas sober. I spent time with some people who had more sobriety than I did, picking their brains and developing a system for myself to ensure that I was going in this prepared. You CAN have a Sober Christmas, we don’t need to have 100 proof blood running through our veins to get into the Holiday spirit…and it’s amazing to wake up with no regrets and fond memories. Don’t attend every event. When you are invited to events, you may be inclined to go to every one, especially if you’re a people-pleaser like I was. We can often glorify the memories we had of past-events and forget that our lives have changed. Stop and think about what the event will be like, will it be an all-out party? You may want to give some a pass this year. Check your motive. You’ve decided to go to an event, now stop for a moment and honestly ask yourself why you want to go. If you’re walking into a place with alcohol just to catch up with friends, would it make more sense to see them somewhere else during the day? So often we fool ourselves and are putting ourselves at unnecessary risk. If your motives are good and you’re not looking for an easy excuse, get some other things in place (listed below) and have FUN. Bring a sober friend. There is nothing worse than feeling like the odd-man out at a gathering. Bring along a friend who will stay sober with you or if you know someone who will be there who doesn’t drink, seek them out to stick with. This could help you relax and realize that most people aren’t actually paying attention to what you are or are not drinking. Bring your own drinks. If you have a drink which you enjoy now, bring it. Don’t rely upon the host/hostess to know your tastes. Check out my Mocktail recipes, people like when you show up with a fancy choice in hand. Have a reason. When you’re not drinking, people can be quite forward and want to know why. Get your story together beforehand. There are many reasons you can use without disclaiming your alcoholism. You’re driving, on medications, have to get up early…..make a choice but prepare yourself in advance. Have an exit strategy. In early sobriety we often feel overwhelmed without much warning. Plan an exit strategy, just in case. Keep a cab company number handy, tell the host you may have to leave early….whatever it takes. If you do have to leave and don’t feel strong enough to say goodbyes, just leave. You can phone them in the morning to apologize and explain. HAVE FUN & get out of your own head. The struggle to get sober and stay that way is taxing, we get stuck in our own heads at times and forget to have fun. As long as you’ve got yourself centred in the fact that you’re not going to drink on this one day….then allow yourself to get out of your head and have fun. These are just a few of the tips which I still use to this day, I hope they can help you or a loved one this Holiday season. These are great tips for dealing with recovery during the holidays. I find it’s the hardest time for my clients to deal with. I appreciate you offering these tips. This is my first sober Christmas. Thanks for the tips, I will use these . I like the one ” keep out of your head”. I know I over think situations…if I just let go, then I’d have more fun in the moment. These are perfect! 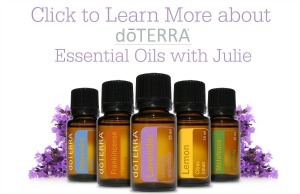 Thank you Julie! 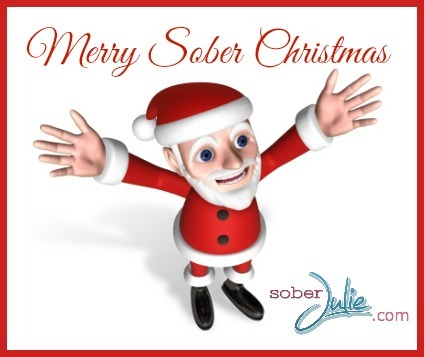 This is my first sober Christmas in 6 years.